Structural Engineer needed for the design of steel structures. This position works with sales staff to engineer custom steel structures to required specifications for use in agricultural applications. Engineer will coordinate design to designer/drafter for final design and manufacture. BS in Civil/Structural Engineering required. Candidate should have minimum 5 years of experience with tower support structures for supporting overhead catwalks, catwalks for supporting agricultural conveying equipment, and support structures for elevated tanks. Knowledge of building codes related to agricultural applications, and basic knowledge of agriculture and grain storage helpful. Experience using Solidworks or other solid modeling CAD software preferred. Experience using RISA preferred. Calculates loads and stresses on structures, investigates the strength of members and beams, and determines whether or not a structure can function safely. Works with sales staff to engineer custom steel structures to required specifications. Coordinate design to designer/drafter for final design and manufacture. Assist with troubleshooting manufacturing issues and issues with steel structures in real world applications. Check work to ensure accuracy of spelling, drawing format and organization, dimension and tolerance convention, and conformance with Engineering Standards. Produce and maintain accurate bills of material. 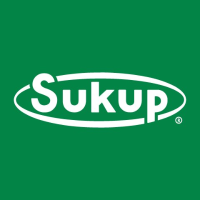 Thank you for applying with Sukup Manufacturing Company. Those individuals that are selected for the interview process will be contacted directly.